The OnePlus 6T was made official yesterday, the handset has received a number of upgrades over the OnePlus 6. 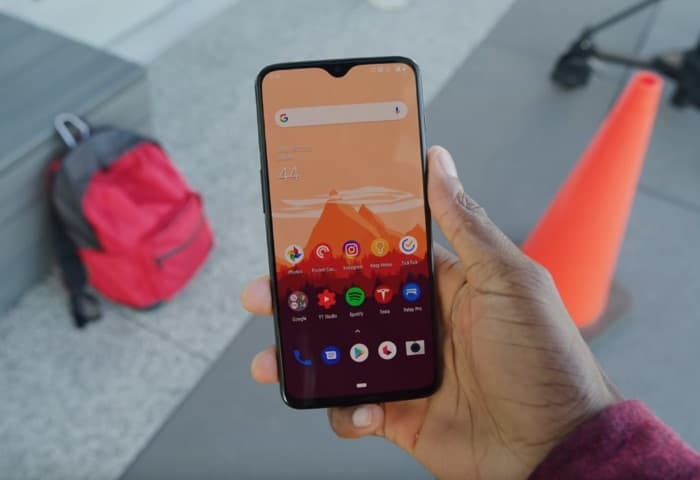 The video below from Maques Brownlee gives us a good look at the design of the new OnePlus 6T smartphone and some of its features. As a reminder the handset comes with a 6.41 inch display that features a FHD+ resolution of 2280 x 1080 pixels, under the display is a fingerprint sensor and the device is powered by a Qualcomm Snapdragon 845 processor. The handset comes with a choice of 6GB of RAM and 128GB of storage, or 8GB of RAM and a choice of 128GB or 256GB of storage. Other specifications include a 3700 mAh battery and Android 9.0 Pie, it also comes with high end cameras. On the front there is a 16 megapixel camera for Selfies and video calls on the back there is a dual camera setup with one 16 megapixel camera and one 20 megapixel camera. The handset goes on sale next week with prices starting at £499 in the UK and $549 in the US.